Progressives Have Kamala Harris All Wrong. Trust Me, I Am One. In recent weeks we’ve seen a swell of criticism of Democratic presidential candidate Senator Kamala Harris, coming not from the right wing, but from the progressive left. This criticism is misplaced, misleading, and more often than not superficial, lazy, intellectually dishonest potshots that present incomplete stories as whole truths. Since these critics don’t seem willing to cop to the bias their own claims, I’ll do it here. In all honesty, I like Harris, and though my mind isn’t made up—reminder: we have a full year until Super Tuesday—I feel compelled to defend her specifically here. And I’m not just doing this on her behalf. These dubious attacks are designed to seed mistrust in a qualified candidate when her campaign is barely out of the gate, and they’ve successfully painted her as someone that—once you do about thirty minutes of honest reading—it’s clear she is not. Harris has a complicated background, yes, and many will find her problematic, but we shouldn’t dismiss her candidacy based on the incomplete information we’ve seen. In that sense, I feel compelled to use this specific case to frame a larger problem in liberal politics: Cannibalism. I’ve identified as a progressive my entire political life. I believe in all the planks of the progressive platform, from universal healthcare to ending corporate welfare to voting rights, the Green New Deal, gun control, etc etc etc. Here’s the rub: I voted for Hillary Clinton over Bernie Sanders in the 2016 primary. Heavens to Mergatroyd! But those things aren’t inconsistent. I made that choice not because I swallowed Clinton’s “progressive who gets things done” tagline, but because I found Sanders problematic for other reasons. For instance, his record on gun control, an issue I feel strongly about, is far from “progressive.” And though Sanders has an admirable voting record on women’s rights, women broke for Clinton. Are all those women not “progressive”? Sanders also lost the black vote in the South Carolina primary 86% to 14%. Would you tell those 86% they’re not “progressive”? Truth is, Sanders didn’t inspire women at large, and he sure wasn’t engaging minorities, the electorate the Democratic Party must engage and expand to win an election. All this to make a larger and more important point: I can square not just my ideology with the nuances my vote, but I can do that for other people. Many on the left, however, are moving the goalposts of progressivism to suit a moment and complete a tautological argument. (Do we now disqualify lifelong progressive Sherrod Brown, for instance, because he doesn’t feel Medicare for All is the best path to guaranteeing a universal right to healthcare? If I disagree, I can do that without also smearing his ideology or credibility.) Progressives need to chill out and advocate for what we believe, not gerrymander baseless ad hominem attacks to justify some innate, inarticulable, unsubstantiated mistrust. This trickles down from candidates to the voters who choose to support those candidates, and that’s toxic: So read this not just as a defense of Harris but as an argument for a more thoughtful approach to progressivism and ultimately each other—if not, we run the risk of MAGAing ourselves out of a coherent ideology altogether. First: Kamala Harris has, neck-and-neck with Elizabeth Warren, one of the most progressive legislative records in the Senate. She votes with Bernie Sanders 93 percent of the time. She’s got a 100% rating from NARAL and a 7% rating from the NRA. She came out against the TPP because it didn’t protect workers, she supports a two-state solution in the Middle East, and she fights for VA reform. Now, considering I’m a white dude, in this defense I’ll try not to wade too deeply into identity politics, though considering Harris is a black woman, identity is inseparable from all these issues, and for most of them at the heart. Not that I feel white men aren’t “allowed” to criticize women or people of color, but here it would open a dimension I’m honestly not qualified to take on. But here’s the thing: Many of Harris’s critics are also keenly aware of this, and they’re quick to make clear these attacks don’t come from identity world. I’ll take that as a parameter and defend her progressive politics. Long and nuanced explanations can be perceived these days as rationalizing, but these aren’t simple issues, and answers should be much longer than questions anyway. Video recently surfaced of Harris “laughing” at having prosecuted a homeless mother of two for truancy. Heartless! But Harris laughed for the same reasons we cringe: She knew it sounded heartless. The truth sounds different. In 2009, when Harris served as San Francisco District Attorney—an office she held from 2004-2011, after which she became California State Attorney General, leaving in 2017 when she was elected to the Senate—she created a controversial program: Prosecuting parents of truant students. Let’s look at the reality of the program. First, to be clear: Harris didn’t charge kids with the misdemeanor, and didn’t put any parents in jail. None. At the time, though, truancy was at crisis levels in San Francisco: In the 2007-2008 school year, about 5,500 students were either chronically or habitually truant. About half were in elementary school. Harris noted that crimes that dropouts commit were costing California $1.1 billion a year, and the additional social and medical costs, wage taxes, and other economic losses, raise that number to more than $24 billion a year. She also noted that more than 94 percent of murder victims in San Francisco under the age of 25 were high school dropouts, and across the state, dropouts comprised two-thirds of prison inmates. The whole point, then, was to do the opposite of what some have accused: her of: reinforcing the school-to-prison pipeline and, as one commenter who missed the point altogether put it, “dragging into the criminal justice system even more disproportionately low-income, predominantly black and Latino families.” Unless you think six parents having to report their kid’s attendance to a truancy court every week or so is dragging them into the criminal justice system. In the program’s first year—which only focused on elementary students—Harris sent all parents a letter informing them of the consequences of truancy. She took about 20 parents to court but followed through with convictions for only six, whose kids had all missed more than 50 days of class. The punishment? The court mandated the parents keep their kids in school, and offered support for the problems that contributed to the truancy. The parents had to regularly report to a special truancy court, which Harris created specifically for this program. In one of those cases, a six-year-old had missed 80 out of 180 days of the school year. The next year, that student missed three days and one of his parents became a school volunteer. In all cases the children returned to school. Also in that first year, Harris’s attorneys mediated more than 1,000 truancy cases before they got to the prosecution stage, and truancy among elementary school students dropped 20 percent on average. In short, Harris met with success in a way the school system—and even progressive California non-profits—had not. She didn’t work outside the schools, either, but partnered with San Francisco Unified School District Superintendent Carlos Garcia, who had this to say: “Our anti-truancy programs were designed not to punish people, but to find out why they’re missing school. Sometimes it’s as simple as arranging child care. But the D.A.’s effort helps. We can say, ‘If you keep doing this, you’ll wind up in the [District Attorney’s] Office.’” She used the only power available to her—the criminal justice system—in a creative way to get people access to government resources they need. A back door. Here’s a video of a cop pulling someone over, scaring the hell out of them, but then giving them a turkey. This isn’t what Harris did. To extend this metaphor, the guy would have been a known habitual reckless driver, Harris would have first sent him a warning letter, he would have continued driving recklessly, been pulled over while doing it, told he could be given a ticket or jailed for it but instead he’d just have to show up to court for a few months—and then she’d give him a turkey. Was it a good idea? Seems pretty clear. However, that doesn’t mean any prosecutor should follow her lead. One woman died in a Pennsylvania jail, where she’d been kept for failing to pay fines associated with her child’s truancy. But that’s why we need more progressives to become prosecutors. If we say the two are incompatible we give the law over to those who would abuse it and not, as Harris and others like her do, reform the system within. Harris supports debt-free college. Not tuition-free! Boo! “Tuition-free” sounds great, and yeah, it would be great if it could work. (There are practical political concerns, but that gets us into a weedy world indeed.) But look: Tuition isn’t the only cost of attending college. The ideal program would get everyone a college education who wants one, and make sure no one graduates with debt. This would, obviously, also tackle the tuition problem. Bernie Sanders holds holds this position, too, though he keeps saying “tuition-free” because it sounds more simple. Don’t get mixed up: Harris’s program is far more ambitious than covering tuition alone. People accused Harris of “backtracking” when she clarified her response about Medicare for All in a recent town hall with Jake Tapper. 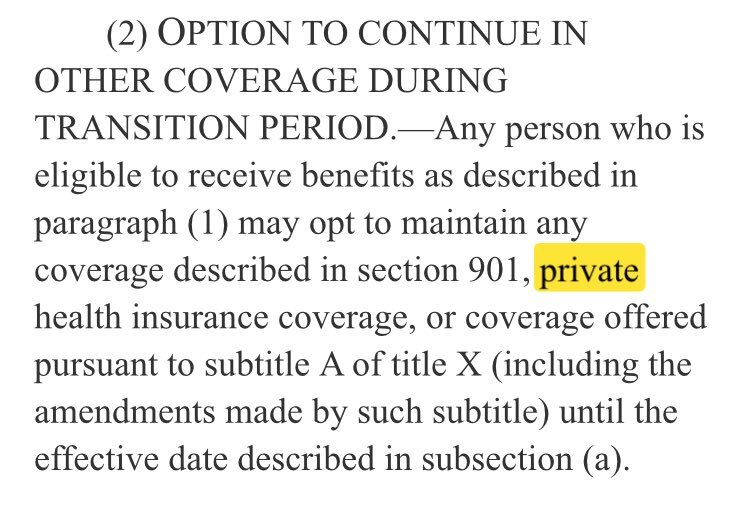 Harris has been widely quoted in outlets across the political spectrum saying in that interview, “Let’s eliminate all of that,” in reference to private insurance. But after the interview, Harris clarified she is open to working with private insurers! Sell-out! 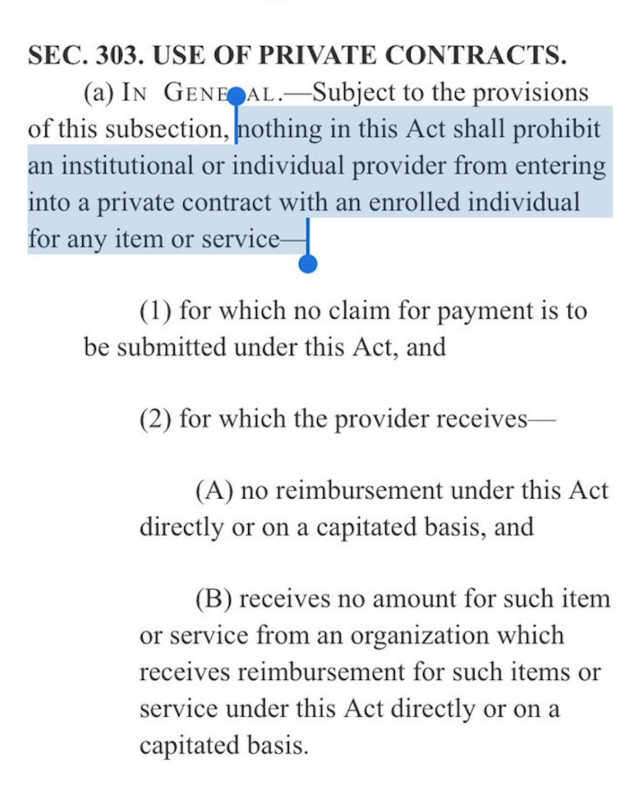 Well, listen, the idea is that everyone gets access to medical care, and you don’t have to go through the process of going through an insurance company, having them give you approval, going through the paperwork, all of the delay that may require. Who of us has not had that situation where you’ve got to wait for approval, and the doctor says, well, I don’t know if your insurance company is going to cover this. Let’s eliminate all of that. Let’s move on. What Harris said isn’t incompatible with Medicare for All, which, again, she co-sponsored. That proposal, by the way, is far to the left of most countries with socialized healthcare, but where private insurance companies often fill supplemental gaps. The U.S. is pointed to the left, and Harris—whose voting record ranks among the most progressive in the Senate, and who agrees with Sanders 93 percent of the time—is at the tip of the arrow. Kamala Harris, like nearly ALL political candidates, has a complicated relationship with Wall Street. Her campaign organization took in $765,000 from the securities and investment industry. Although Harris pledged upon the official launch of her campaign that she wouldn’t accept money from any corporate PACs, before she announced her candidacy she reportedly reached out to Wall Street executives, who could be major individual donors. So she does have some explaining to do. Luckily, she can. 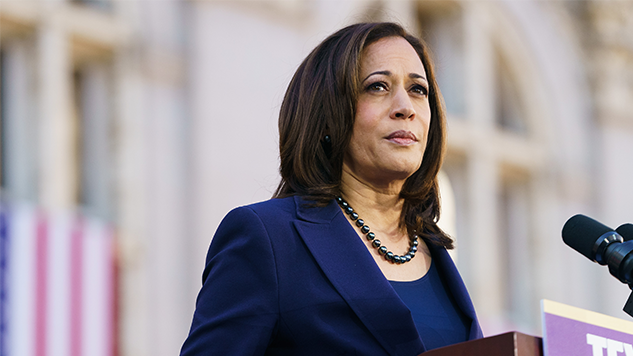 In 2012, as California AG, Harris negotiated a $25 billion settlement with major banks caught up in mortgage fraud fallout from the subprime crisis. (The banks had initially offered between $2 billion and $4 billion.) More than $18 billion of the settlement went in the form of mortgage relief to Californians those banks had victimized. And guess what? Once Harris got to the Senate she acted to fix this awful flaw. She co-sponsored a bill with Elizabeth Warren and Dianne Feinstein—called the “Accountability for Wall Street Executives Act”—that would let state law enforcement agencies issue subpoenas in bank fraud investigations. Harris also voted against the Dodd-Frank rollback, a bill that split the Democratic caucus. Democrats who voted for deregulation took more than four times as much money from banks than Democrats such as Harris and Elizabeth Warren who voted against it. Further, Harris took a total of $2,995 from banks that election cycle. That’s less than half the $6,000+ Warren accepted in the same cycle, and about two hundred dollars more than Sanders did. Last year Harris accepted a total of $475 in contributions from the financial sector. Obviously, though, Harris’s prosecutorial ambit doesn’t stop at white collar crime. And so she did. Harris had to work within the confines of California state law, which had been blighted by its asinine and racist “three strikes” mandatory sentencing rule. And though it’s true Harris didn’t take a public position in 2014 on Proposition 47—which reformed that rule—she not only favored reform, she wrote the actual ballot language. (Harris felt taking a public stance would be a conflict of interest.) And to the nit-picky criticism that she didn’t fight hard enough to drop certain low-level offenses to misdemeanors, Harris never sought 25-year-to-life sentences on any low-level crime. In 2004, though, Harris refused seek the death penalty for the man who killed San Francisco police officer Isaac Espinoza. For that decision she caught hell from none other than Democratic Senator Dianne Feinstein, as well as California police unions. Also in 2004—the thick of “three strikes”—Harris implemented a program called “Back on Track,” which sent young first-time drug offenders to training programs instead of prison. Harris also implemented the country’s first statewide implicit bias and procedural justice training programs for police officers, and required all DOJ agents in her office to wear body cameras. A widely-cited New York Times opinion piece criticized Harris for not extending the requirement—which she had personally championed—to the rest of the state, but that wasn’t because she doesn’t think cops should wear them. Harris believed individual jurisdictions should have say in how body cam footage can be used, how long they should save it, when to release it, etc. She also opened several investigations into practices within law enforcement departments, and required departments to make public any and all information about in-custody deaths and police shootings. Senator Harris worked with Kentucky Republican Senator Rand Paul on bail reform, and co-sponsored a bill that made lynching a federal crime. Last December, President Trump signed into law the bipartisan FIRST STEP criminal justice reform bill, which gives more rehabilitation support to former prisoners and which Harris worked on. Her record warrants criticism. For instance: her department’s failure to turn over information about police officers who potentially had a criminal record, and its failure to act when crime lab technician Deborah Madden was accused of stealing drugs. But, again, those cases are gray. In the first of the two above examples, Harris was hamstrung (again) by California privacy laws that dictate when and how to turn over officer information. In the second case, Harris didn’t prosecute Madden because of a conflict of interest: Her department’s own attorneys would have been called as witnesses. The decision fell to then-California Attorney General Jerry Brown, who declined to pursue it. But look where we are. Are we really disqualifying Harris as a progressive because of a few specific quasi-gray-ish cases that we really don’t know all the details of? Because someone wrote an op-ed in the New York Times that leveled attacks on line-item cases while withholding complicating information? That op-ed above also faults Harris for keeping a potentially innocent man in jail despite the very real likelihood additional DNA testing would exonerate him. It’s completely insane to think Harris, given her track record of criminal justice reform and personal convictions (punnn), for some reason wants to keep people of color in prison despite available evidence to the contrary. So to that specific criticism, I give you this. Like all candidates, Harris is imperfect. The legit criticisms of Harris are picayune and—when you actually read the government documents and reporting—ambiguous, and they in no way disqualify her as a progressive, let alone as a viable candidate. And again, she has one of the most progressive voting records in the Senate (if not the most) and it’s just fundamentally weird for anyone to imagine she’s some kind of wolf in sheep’s clothing, secretly planning to turn her back on these things after all these years fighting for them. Unless, of course, you simply think she’s a liar and has been climbing this ladder for decades just to burn it all down once she gets to the top. Look: One black woman cannot bring down this system, but Harris has used the only power available to a prosecutor to do more to advance progressive policies and support for the vulnerable in the criminal justice system than perhaps any working prosecutor in the country. We want people like her to enforce our laws—not more Jeff Sessionses. We want them to run for national office knowing exactly what’s wrong with that system, so that—as Harris did—they may then actually have the integrity to draw on that experience and effect real change. We have a reasonable skepticism of people connected to the “system,” but if we’re not honest with ourselves and consistent with our standards, we end up dismissing those people unreasonably.